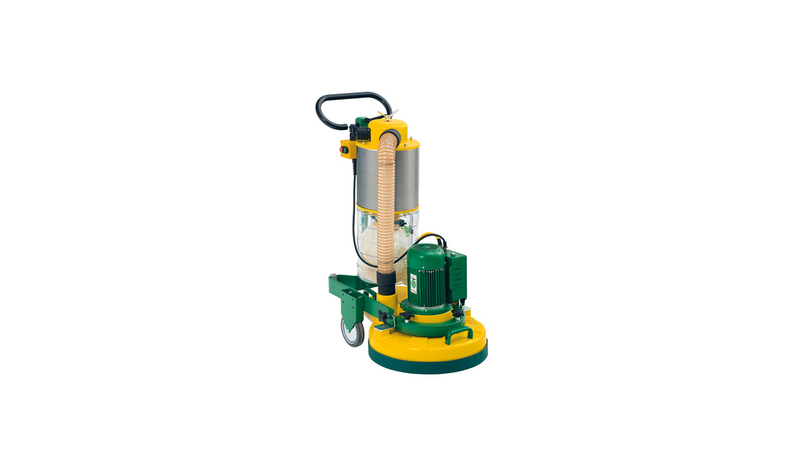 From thorough sub-floor treatment via renovation work on pre-finished wood floors to perfect fine and intermediate sanding, the three disc sanding machine covers a comprehensive spectrum. The powerful motor has been optimally designed for both the heavy-duty and/or sensitive requirements of these areas of application. The integrated, sensor-monitored dust extractor and well thought-out filter system guarantee almost dust-free work. The TRIO has the "wood dust tested" seal of approval and was thus the first disc sander in the world to operate almost dust-free.